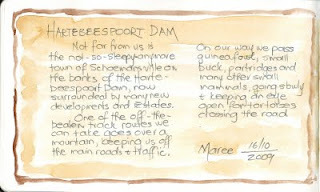 We often take a drive out to Hartebeespoort Dam in the North-West Province (South Africa), which borders Gauteng, just under an hour's drive from us. 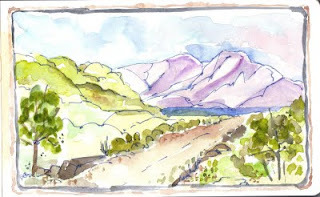 We prefer to take the scenic route, staying away from the main roads and all the traffic, using a gravel road crossing over a mountain, reveling in all the wild life we spot on the way. The once sleepy village of Schoemansville, which has always been one of the major tourist attractions in the area, is now buzzing with activity and new developments, but has still managed to maintain most of it's original charm.